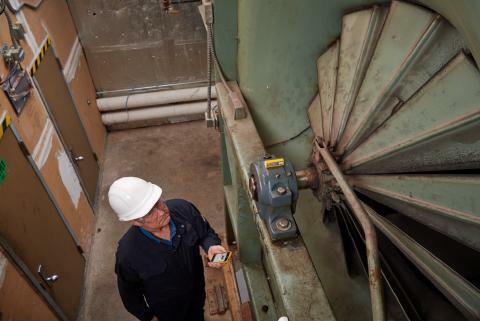 Using a three-phase power monitor and cloud-based condition monitoring software resulted in savings of more than $40K. Many people rely heavily on eyeglasses to see. According to Vision Council of America, 64% of adults wear eyeglasses. OptoTech is a leader in optical machinery equipment. It has a broad range of machinery and process technology for both precision and ophthalmic optics and offers complete production lines including generating, edging/centering, and polishing and measuring. The company is headquartered in Germany and has other locations in Switzerland, Italy and the U.S., specifically in Wisconsin. According to John Marhefka, a field service engineer for OptoTech, its customer base is the people who order the equipment to make the lenses. During September 2017 through November 2017, Marhefka said one of OptoTech’s servicing generators, which cuts lenses to the given prescription and is located at their customer’s independent lab in Phoenix, started having problems. Shop that part to replace the parts not knowing the full issue, which is not cost-effective. Have someone sit and watch a monitor or small data logger that would only capture so much during the time this person was onsite, which is also not cost-effective. “Because this [problem] happened so intermittently, we needed a remote diagnosis that would always be watching the voltage,” Marhefka explained. As a previous research and development engineer, Marhefka said he has been familiar with Fluke products over the years. 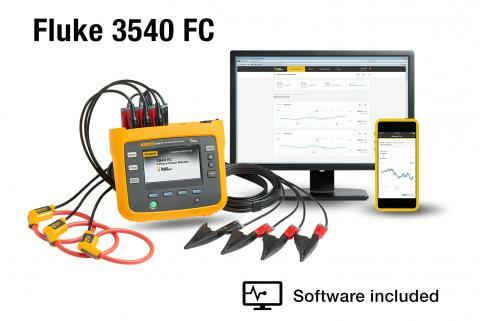 Being aware of Fluke’s product ranges and capabilities, he believed Fluke’s 3540 FC Three-Phase Power Monitor would be a solution to their problem. They ordered the equipment in late January 2018 and installed it in early February. The power monitor is a compact device to view three-phase systems and stream data to the cloud-based condition monitoring software. 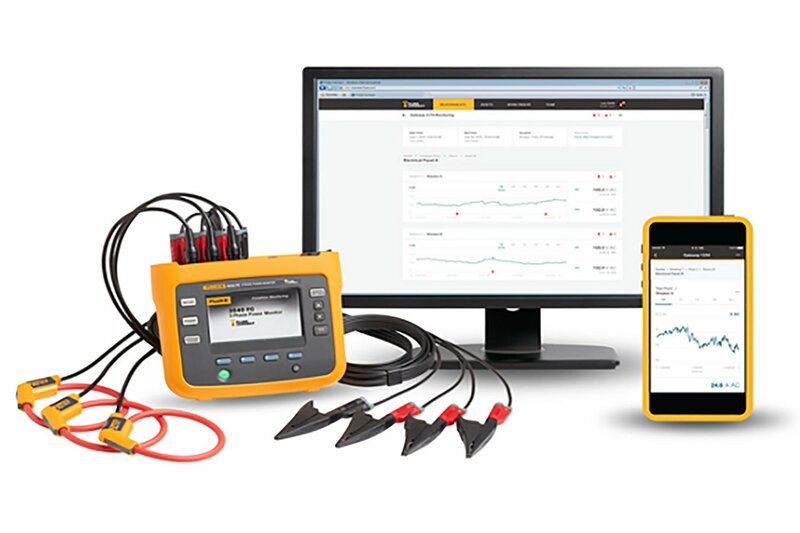 The measurement data from the Fluke Connect™ Condition Monitoring (FCCM) software are available on any connected device using the Fluke Connect App on a smart device or web interface. Graphs in the FCCM software show the trends and measurement fluctuations during the monitoring period. 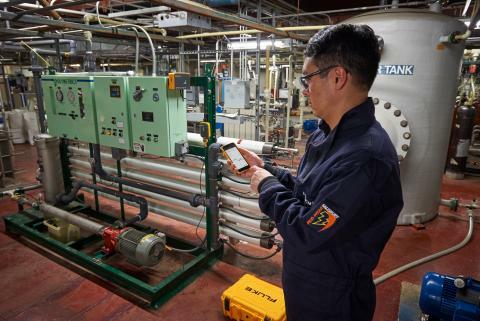 Optional alarm settings notify users immediately when measurement values move outside specified thresholds, including sending push notifications to connected smart devices. According to Marhefka, setup involves physically connecting the unit inside the electrical cabinets, then linking it to the Wi-Fi system and finally syncing it to the user’s phone, which altogether took around 10 minutes. The power monitor continuously collects data and uploads them to the cloud. 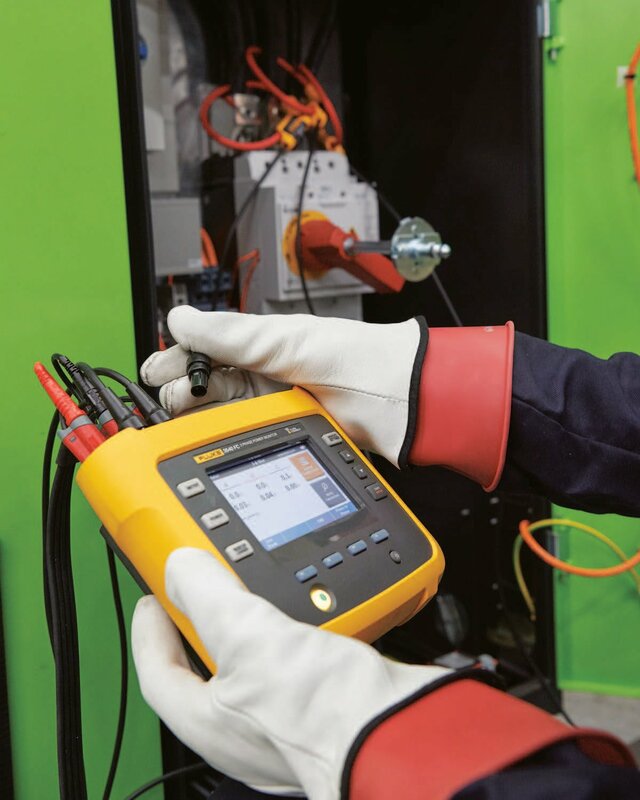 Marhefka said with this being an intermittent issue with their servicing generator, the monitor allowed them to capture data 24/7 and correlate the data at any time. Marhefka reported that it took two months of using the power monitor on their generator to properly diagnose it. Marhefka added that since the power monitor allowed him to see the voltage swing throughout the day, and even though it didn’t relate to the problem, he suggested that the customer monitor the power for performance at strategic points after adding new equipment. 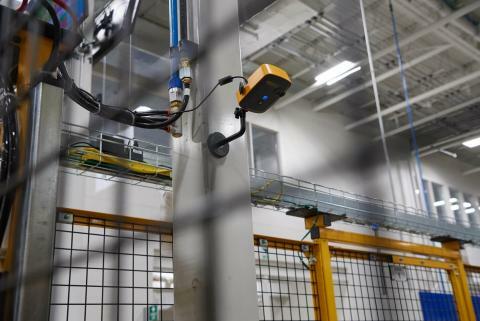 According to Marhefka, the power monitor allowed them to avoid either the cost of having someone monitoring the equipment onsite or the cost of replacing parts that they couldn’t confirm were damaged. Marhefka plans to use the power monitor anytime he sees a power instability. He said there is another issue in New York City right now in which they intend to use the power monitor. These types of power problems might happen an average of six times per year for them, according to Marhefka. While they won’t use the monitor all the time, “one job is typically worth the price of the equipment,” Marhefka added. Also, most of their customers are highly technical, Marhefka explained. For these types of customers, they plan to create a standard operating procedure (SOP). 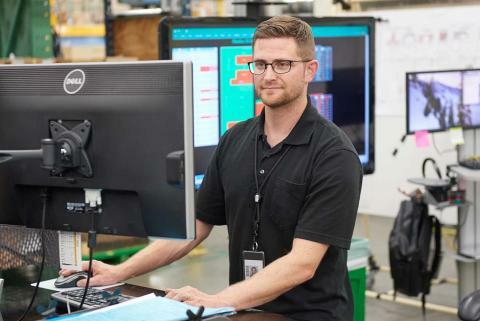 Instead of sending a technician out, they will deploy a monitor for the client to connect, which would result in more cost savings.